When a former champion makes a comeback it always grabs our attention. Didnt you check the box scores to see how many points Michael Jordan scored or the number of strikeouts Roger Clemons registered in their first games back from retirement? I certainly did. Martina Navratilovas legendary comeback, at nearly 50 years of age, ended just recently with yet another Grand Slam title and 47-year-old, grey-haired, John McEnroe turned back the clock as he captured the mens doubles crown at the SAP Open last February. Comebacks by aging superstars excite us because they remind us that life isnt over once we hit middle age. They inject us with hope and encourage us to get up off of our widening rear ends and get back out there. After all, if Martina, Michael, and "Johnny Mac" can do it, why cant we? Another ex-champion on the comeback trail is Dr. Anne Smith. The 10 time Grand Slam doubles champion returned to the courts in 2005 and is showing us that "older" can definitely mean "better." Tennis fans will remember Smith as the pony-tailed Texan who earned her place in the history books as one of only 20 women to have won 10 or more Grand Slam titles in the Open era. She is also one of only 13 women to win a career Grand Slam in doubles. Playing with and against some of the greatest names in the history of tennis, including Martina Navratilova and Billie Jean King, Smith captured three US Open titles, two Wimbledon crowns, four French Open championships and one Australian Open title. She was the worlds top ranked doubles player in 1980 and 1981 and reached a career high of #12 in the world in singles in 1982. A member of three World Team Tennis championship teams, Smith also won the 35-and-over womens doubles titles at both the U.S. Open and Wimbledon in 1997. Certainly an impressive career to be looked back upon with pride yet, at the ripe young age of 46, Anne threw away her key to the retirement village, restrung her rackets and is back on the tour. Competing on the ITF pro circuit, Smith not only plays doubles but is also battling women 20 and 30 years younger than herself on the singles court. With her place in tennis history secure, the obvious question is: "Why?" Many former athletes find themselves lost after the cheering stops. The game has been their life from a very young age and with no more practices to go to, or games to get psyched up for, they struggle to find their way. Well, theres no sad, ex-champion story here. After retiring from tennis at the age of 32 Anne Smith thrived. She returned to Texas, graduated from college, earned her Ph.D. at the University of Texas, and became a licensed psychologist. While enjoying a successful career in the word of psychology, she also kept her hand in tennis, coaching the World Team Tennis Boston Lobsters as well as serving as the mental training consultant for Harvard Universitys womens tennis team. During Smiths watch, the Lobsters made the playoffs in the first year of their existence and Harvard became the first Ivy League school to be ranked nationally in the Top 10. By the way, she is also a USPTA certified tennis teaching professional, a member of the Head/Penn Racquet Sports Speakers Bureau and a commentator for the Tennis Channel. So no, it was not boredom that brought her back to the competitive arena but rather her love of the sport as well as a new approach to competition. In her recently released book "Grand Slam: Coach Your Mind to Win in Sports, Business, and Life" Smith says that "My passion and love for the game are still there; and I do not want to look back ever and ask myself why I didnt try. Upon her return, Anne experienced a definite case of culture shock. "The game has changed significantly since I last played competitively in 1991," she says. "There is more of an emphasis on power." "At first, I tried to play the "modern game," hitting the ball hard and staying on the baseline," she says. "Then I realized that it was best for me if I played my own game. I have a slice backhand and I can hit off-pace with my forehand, and I discovered that the players didnt like these shots. They like to hit hard balls that come waist high. So my "retro" game worked well." The psychologist side of Smith also "realized that my mindset before during and after matches was more important than the technical part of the game. The mental part of the game is considered by most athletes and coaches to be at least 80-90%. Very few athletes and coaches take the time to train the mind at the same time they work on the physical skills of the game. If the mind/body training does not happen, how can the physical and mental come together during competition? Mental training is the quickest way to improve performance and, as I have said to some of the players, "Its just like practicing a backhand down the line." Mental toughness can easily be learned." With the help of her coach, Bev Raws, Smith began to rebuild her mental approach to tennis and soon saw her results improve. This new mental approach formed the basis of Smiths 2nd book titled MACH 4. The book teaches athletes, coaches and parents how to bring out the best in themselves and others by improving their mental approach to the game. "The only thing a player can absolutely control and be responsible for are what he thinks, how he acts and what he says to himself and others when he steps onto the court." MACH 4 consists of four components: mental, body language, intensity and cueing language with the overall theme being positive reinforcement. "I emphasize what the player is doing well," says Smith. "The mind will replicate what it is fed on a moment to moment or daily basis. I believe in the power and effectiveness of positive mental training." It is this positive reinforcement that Smith believes will bring the best results. Smith says that throughout most of her career she focused on what she did not do well. Calling herself her "own worst enemy" Anne says she often didnt enjoy playing the game because she was so hard on herself. "Focusing on mistakes and what Im not doing well reinforces and creates more mistakes. It becomes a vicious cycle. Focusing on what I am doing well helps create a winning mind-set and enhances my performance. It is also much more fun." Today, as a "recovering perfectionist," Smith says, "this time, I am doing it differently." I have given up the idea that I cannot miss, or that I have to be perfect. During my career in the 1980s, my perfectionism fueled my anger and caused me to feel as if I were fighting myself instead of my opponent. But I have now learned how to manage this perfectionism and anger by encouraging myself and by focusing more on what I am doing well." A champion by any definition of the word, Anne is quite certain that if she had the MACH 4 system in her earlier career, she would have won even more. When not competing, Smith teaches tennis, and travels the world helping athletes, individuals, and corporations improve their performance using the Mach 4 system. Oh and by the way shes also back to her old winning ways on the court. In nine tournaments on the USTA/ITF tour, Smith reached the semifinals in doubles four times and captured her first title in July in Southlake, Texas, with Tara Snyder. Smith firmly credits her coach and their MACH 4 system for her success. 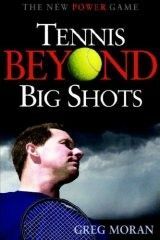 Further information on Dr. Anne Smith can be found at www.annesmithtennis.com.